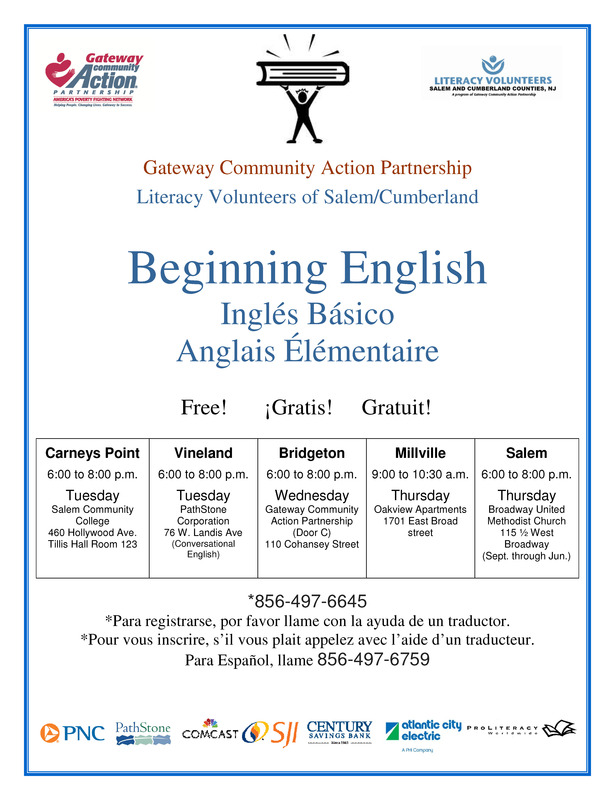 Realizing that illiteracy is a barrier to self-sufficiency, Gateway Literacy Volunteers offers one-on-one tutoring for adults who need help with reading, writing or speaking English. Free tutor training is available to individuals willing to commit to tutoring other adults in Salem and Cumberland counties. Call Laura Stanton, program coordinator, at (856) 497-6645 or e-mail her at literacy@gatewaycap.org or gatewayliteracy@gmail.com for confidential literacy service information.